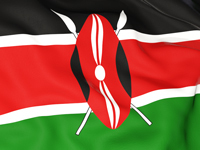 Music teaching role in Kenya offering an attractive salary package + benefits included! Send your CV to mn@seekteachers.com ASAP! Chemistry teaching role in Africa - Send your CV to mn@seekteachers.com Call me at +44 203 4555 0195. Established Independent school looking to recruit a qualified and experienced teacher of Mathematics Send your CV to mn@seekTeachers.com for more information. Lower Primary teaching role available in an Independent school in Kenya | Submit your application now before it is too late! A Level Maths teaching role in Kenya | Send your CV NOW! Attractive salary package + benefits! Learning support teacher in Kenya - British school in Nairobi! Call Mouyana at +44 203 4558 0195 and send your CV ASAP! Head of EYFS Department role in a boarding school in Kenya - August 2018. Competitive package and excellent location! A Level English teaching role in Kenya | Send your CV NOW! Attractive salary package + benefits! Teaching position in a Leading British curriculum school in Kenya -APPLY NOW! Science teaching job in Kenya's most established British International school - August start! Competitive salary and excellent location,contact Mouyana NOW!